Abel Hernandez (£5.9m) earned the maximum Fantasy Premier League bonus points in Hull City’s 4-2 home win over Middlesbrough. Scoring 46 in the Bonus Points System (BPS), the Uruguayan produced a goal and two assists to return a 14-point tally – his highest of the season. Opposing wingers Lazar Markovic (£5.2m) and Adama Traore (£4.8m) both collected two bonus points, with 24 in the BPS. Markovic struck Hull's first goal and completed 81% of 33 attempted passes from his right-wing berth. He also made three clearances, blocks and interceptions (CBI) and six recoveries. Traore supplied three goalscoring opportunities for the visitors, including the assist for Alvaro Negredo’s (£6.1m) early opener. He also completed eight attempted dribbles, in addition to making six recoveries and a pair of successful tackles. Hull head coach Marco Silva’s decision to retain a 4-4-2 system reaped rewards, yet he has concerns over the fitness of Hernandez, who was forced off on 51 minutes. Should the striker fail to recover in time for a weekend trip to Manchester City, Silva could hand the fit-again Evandro (£4.9m) a central-support role behind Oumar Niasse (£5.6m) in a 4-2-3-1 set-up. Netting his side’s second, Niasse has four goals in the Tigers’ last five home fixtures. 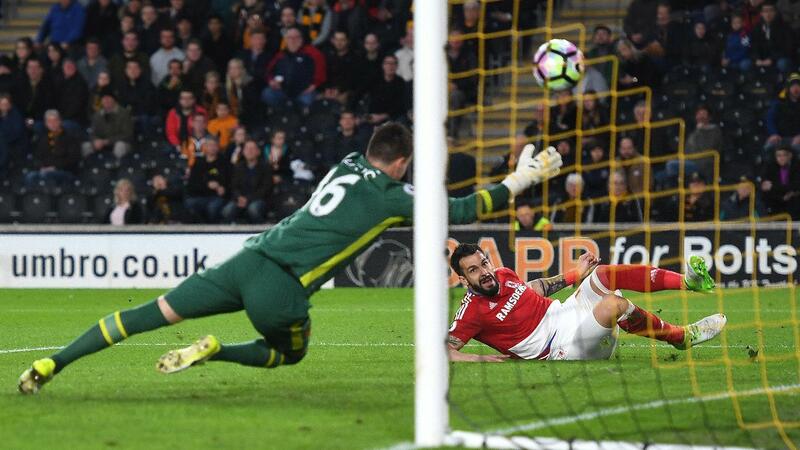 For Middlesbrough, Negredo’s return to the scoresheet boosts his FPL prospects ahead of a home encounter against Burnley. With caretaker manager Steve Agnew also employing a 4-4-2 set-up, the Spaniard fired five shots on goal in Wednesday’s contest. Since the departure of Aitor Karanka, Negredo is second only to Manchester City’s Sergio Aguero (£12.7m), by 14 to 15, for shots on goal over the last three Gameweeks. No player has produced more shots inside the box than Negredo’s 12 during that spell. With a pair of Gameweek 34 fixtures against AFC Bournemouth and Sunderland, Negredo’s 10.8% ownership looks set to climb, with 5,800+ FPL managers acquiring his services since Tuesday’s deadline.